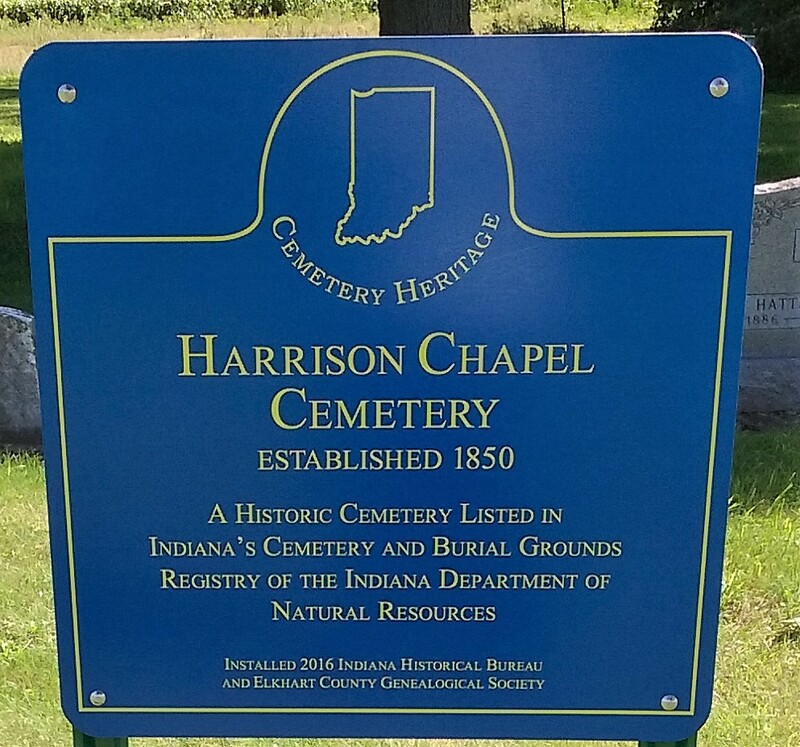 Located on the east side of County Road 11, between County Roads 36 and 38 and north of the Yellow Creek Churches, in Harriosn township. At one time there was a small Evangelical Church building in the northwest corner of this cemetery. Joseph W. Bechtel in row 1 seems to be the oldest grave in this cemetery. Copied Aug. 1977. Started at the north end of the row next to the road and worked to the rear.